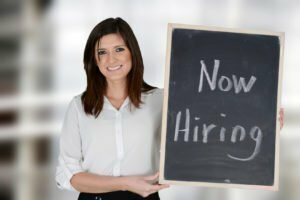 Customer Service/Receptionist – Pierce Insurance Group, Inc. Looking for an energetic and organized customer service representative to help a growing insurance agency located at Craig Ranch in Mckinney. Current opening is for a part time employee with future full time potential. Flexible on schedule but, would prefer Monday through Friday 10AM until 2PM. Responsibilities include answering phones, running quotes, processing policies, processing payments, changing policies, making birthday calls and filing. No insurance experience necessary but, must have a high school diploma and be proficient with a computer. If interested please email your resume to [email protected] or call 469 252 8001.